90 Day Fiance: Before the 90 Days star Karine Martins, who is Paul Staehle‘s wife, is back on Instagram after several months of going dark. Karine hasn’t been heard from on her social media sites since back in May. But this week she hopped back on. So what did the 90 Day Fiance star have to say? Karine Martins posted a selfie on her Instagram page, according to reports. But it doesn’t seem to be there anymore. So what’s up with that? If 90 Day Fiance fans are looking for an update from the newlywed from Brazil, you won’t find it here. It looks like she didn’t have much to say. However, it looks as if she replaced that selfie with a rather cryptic message. Is it to her husband Paul Staehle? This message adds even more to the mystery surrounding her lack of social media activity today. That message is seen below. Karine Martins Posts Selfie – Now Missing – But Message In Its Place? In Touch reported on the selfie posted by Karine Martins today. They also suggested that this adds “more fuel to her mysterious social media silence.” While they reported that Karine posted a picture of herself in bed a few hours ago, it looks as if it’s been taken down. While Karine has kept away from the internet since May, her husband Paul Staehle, more than made up for her absence with his posts. Paul has kept the 90 Day Fiance fans updated on the newlywed’s first year of marriage. After the couple suffered a miscarriage it is understandable why Karine wasn’t up to messaging the masses. An inside source has revealed that the couple is expecting again, this time with twins. While Paul’s frequent social media posts include pictures of his wife, it’s hard to tell. He has a tendency to hide her belly in the photos. Paul Staehle recently took to social media to share just what happened with their first pregnancy. That post is seen below. Thank you @americanair and your first class customer service from Latoya Correa. She was able to solve all of our problems and concerns. It could be that Paul and Karine plan to announce their baby news when 90 Day Fiance airs the “Tell All” episode Sunday night. The show’s host suggests in the previews that Paul and Karine have big news to share. Flash back to season 1. This was the day I first met Karine. Shortly after meeting her filming. I fell out over the heat. Next thing I knew the crew had me in a vehicle AC on max my cooling vest on me . They even got my blood pressure checker out of my gear.Karine was watching over me. And crew brought me and some salt and a bottle of water.They said I went completely pale.So happy crew took such amazing care of me in this situation. Watching this season makes me flash back to Day 1 with Karine. 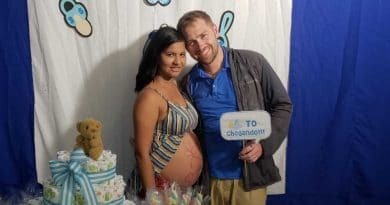 Karine Martins was home from the hospital just a few hours after her surgery following the miscarriage when Paul Staehle shared some more bad news with her. He ran out of money. Due to his visa, he can’t work in Brazil. So he needed to hop a plane home, and earn some money. Paul’s recent social media posts indicate he did just that and he’s back in Brazil with his wife. 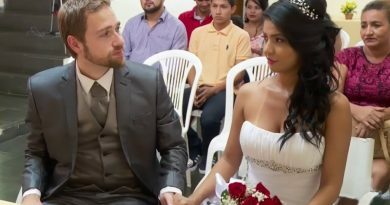 The season finale of 90 Day Fiance: Before the 90 Days airs Sunday night. This “Tell All” episode looks explosive if the preview is any indication. Paul has done his best to communicate with his wife, as seen in the post above. Throughout the 90 Day Fiance season, Paul’s insistence on talking things over with Karine is captured in the video above. 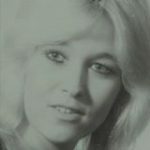 The recent pictures posted by Paul Staehle indicate the couple is still together. Furthermore, both Paul Staehle and Karine Martins look rather happy in the recent posts. Watch the 90 Day Fiance season finale “Tell All” episode on Sunday night to get the latest scoop on this couple. Check your local listing for time and the TLC channel number for your location. Check back to Soap Dirt often for the latest news on 90 Day Fiance: Before the 90 Days.